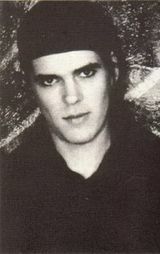 Craig Adams was the first full-time bass-player with The Sisters Of Mercy. was released and the band couldn't agree on details of the next album. I wasn't really a bass player, I was keyboards, but I borrowed a bass and bluffed my way in." the Long Train Flexi (1984), No Time To Cry (1985) and their first studio album First And Last And Always (1985). Quite informative and interesting to who it may concern is also the thread @The Heartland Forums about Craig's Bass Setup. Adams left the band in 1985 and together with Wayne Hussey formed the Sisterhood. This was soon changed to the Mission and Adams spent from 1986 to 1992 recording 4 studio albums and 2 compilations. He was sacked by Hussey in November 1992 and replaced by Andy Cousin. He joined The Cult and toured most of 1993 with the band. They recorded a self-titled album produced by Bob Rock which was released at the end of 1994. 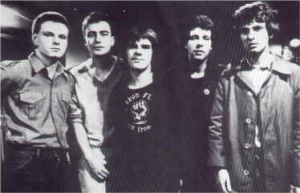 The band found its demise in 1995 and went on a hiatus. In the following year, Adams found employment as a roadie with a variation of bands while occasionaly playing with friends. 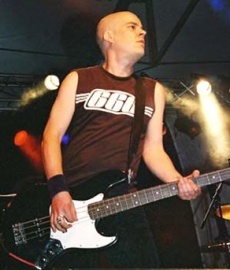 He briefly played with the Alabama 3 but by 1997 joined Mark Peters in his performances. It would see the start of a relationship that continues to this day. Duffy joined Peters and Adams in the Coloursound project. But the latter was halted as The Cult reformed in 1999. Hussey in the meantime had released an album of reworkings of Mission classics and intended to tour the US. Adams called him up and a new line-up was established. A new album, Aura, was recorded and released in 2002. After a fracas in Brazil, Adams leaves the band again. A year later he was confirmed as a permanent member of the reformed The Alarm. This page was last modified on 6 October 2017, at 01:27. This page has been accessed 15,920 times.